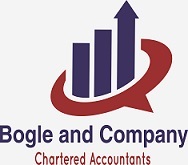 Bogle and Company was formed in 1990 by Worrick Bogle in Kingston, Jamaica. In forming the firm, his vision was to provide audit, bookkeeping, tax services and other accounting services to the sometimes forgotten small to mid-sized companies. This vision centred on providing SMEs with top technical expertise comparable to that found in the offices of the largest accounting firms combined with a personalised service delivery found in the finest local firms. As we move forward beyond 27 years in 2017, we note that the vision is very consistent with the mission, and core values of Bogle and Company today. Equally important as asking about our history is to ask about our future. As we surpass the 25-year mark, it is a particularly poignant time to contemplate our vision for the next 25 years. We have intentions to grow at an average rate of 10-15% per year. We envision that our growth will largely be organic as it has been in the past. We expect to remain committed to our focus and expect that the SME market will continue to be our dominant sector. Since our formation, we have experienced unparalleled growth and acceptance by clients and the industries we serve. We believe a significant indication of our performance and our acceptance in the marketplace is evidenced by our growth rate, as well as the complexity and sophistication of our clientele.